Composer of Piano Concerto - Jaroslaw Kordaczuk. Music for children, children\'s concert for piano and orchestra. Children\'s music and classical music for children. Children\'s Piano Concerto is a piano concerto dedicated to the performance of children with adult symphony orchestra. Concert in the Philharmonic, the premiere of the first part of the concert for piano and orchestra composed by Jaroslaw KORDACZUK. Jarek Kordaczuk wrote 3 parts of the piano concert for children: allegro, largo, vivace. Children\'s music, children\'s concert, classical music for children, contemporary music for children and youth. Children\'s Piano Concerto (children\'s concert for piano and orchestra) is designed for children aged 6-16 years. To download: notes of the piano concert in PDF format, notes for piano solo and orchestral materials PDF files. Notes to download for free: Piano Concerto for children, orchestral parts and orchestral score. Piano pieces for children. Piano pieces for youth. Piano works for chlidren. Children\'s piano music. Concerto for children (youth) for piano and orchestra. 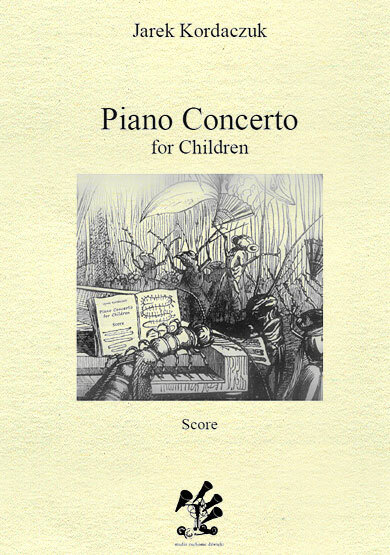 Piano Concerto for Children is a composition written for young performers. It is an interlude to performing larger musical forms and playing with symphonic orchestras. The piano part in the subsequent sections become more and more advanced in terms of piano technique, thus is demanding for young performers. For more advanced pianists an enhanced version of piano solo (ossia) is designed in part. I. The premiere of the first part of the Concerto was held in the National Philharmonic in Warsaw on May 31, 2009 during the 1st Nationwide Suzuki Concert. The piece was performed by the young pianist Janusz Kotik (7 years) accompanied by the State Music School no.1 Orchestra from Warsaw under the direction of Ewa Marchwicka. 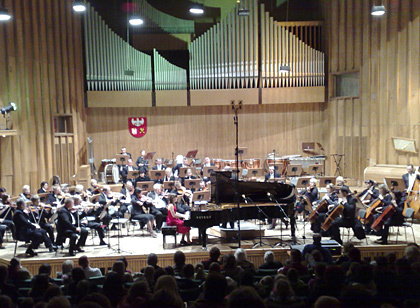 The whole concert was first performed on October 18, 2009 in Olsztyn Philharmonic by Olsztyn Philharmonic Orchestra under the direction of Janusz Przybylski. Soloists were: Janusz Kotik (Part I), Monika Dobrowolska and Zofia Kędzierska (Part II, which was played twice) and Diana Kuls (Part III). The premiere performance of Jarek Kordaczuk's Piano Concerto for Children, in Part III the pianist Diana Kuls. I'd like to express thanks to Anna Dramowicz, who inspired me to write the Piano Concerto for Children, as well as all people and institutions that supported its premiere performance. Piano Concerto for Children. String quintet orchestration.